We all have this question! For far too long I used to research a lot and ask a number of people to tell me that one place for a day where I can relax with friends, get away from the heat, avoid pollution, take a break from 9-5 and just chill! 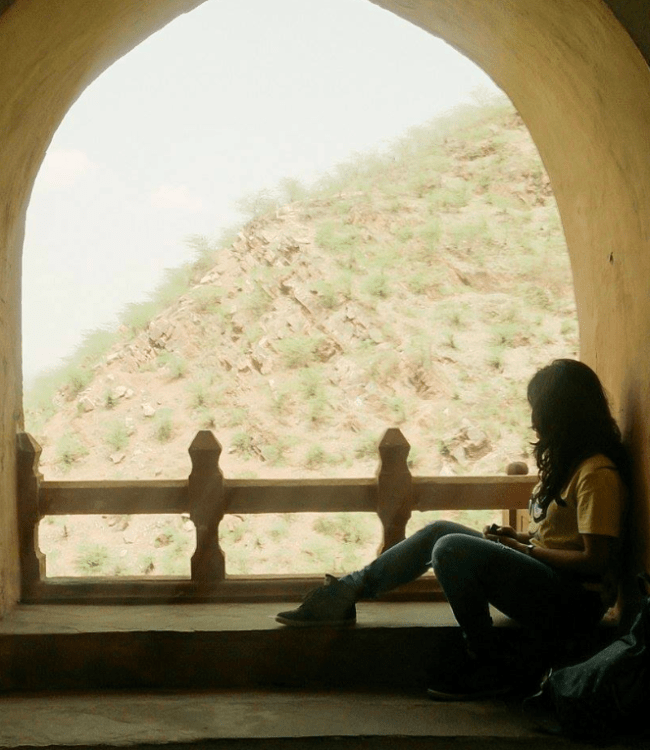 After exploring the world for two years now, I finally know a few places where you can relax for a day near Delhi! And I would very much like to share this list with you. These one-day tourist places are picturesque. I have made a list with varied distance from Delhi so that you have a wide variety to choose from depending on the budget and time. Hope it helps to ease down your research to nothing but only to this blog. In all these places you can either return the same day after exploring or leave Saturday morning and return by Sunday evening. This one day tourists spot from Delhi is a picturesque fort lying in Alwar district of Rajasthan. You can see the stretches of Alwar from this fort since it is at a little height. Here you can experience the royal feeling as well as adventure activities like flying fox. If you want to relax, then they have pools as well for you to take a dive and relax while watching the wonderful view ahead. This place is just 2.5 hours of drive from Gurgaon where you can learn a lot of history as well. Furthermore, they have several options from which you can choose any depending on the budget. If you do not want to stay over a night and experience the fort daytime, Neemrana fort offers several packages from the buffet to flying fox activity to stay in the room during the daytime. They also have several types of rooms depending on the luxury you want to opt. To reach here, it is better if you have your own vehicle since the fort is located inside the quiet streets of Alwar. It will take about 2.5 hours to reach this place. The visit to this place can again be covered in just a day. Dadhikar fort is far away from civilization. The quaint place will leave you in awe. This fort was initially built as a residential camp somewhere around 9-10th century by King Chand. There are several sets of beautiful rooms that you can opt depending on the budget. The package also includes dinner and cultural activities and both of them are really good. You won’t be disappointed. The cultural show involves Rajasthani cultural dance where they ask their guests as well towards the end to join. This adds a really charismatic vibe to it. It is better to self-drive here. Dadhikar is located in a really secluded land of Alwar with no civilization close by. There are small villages though nearby. Since this place is really close to Delhi, it takes close to 3-3.5 hours to reach to this serene place. Mathura and Vrindavan are the most sought after one day tour near Delhi. It is usually visited by travelers and photographers during Holi season. But if you want some spiritual experience and want to witness the land of Krishan this place will be a perfect getaway for you. It is said that Lord Krishna spent his childhood here and thus this place is rich with tradition. Places that you should not miss out on are Madan Mohanji, Radha Damodar Temple, Mirabai Temple, Baanke Bihari Temple, and Gokulananda Temple. These places will make you will feel at peace. I experienced the beautiful festival of Holi in Mathura and absolutely loved it here.. Everything was so cheerful and colorful. It was worth the experience. There are direct trains to Mathura which takes about 2-3 hours to reach. Book the trains in advance since the seat gets full soon. Further, you can also opt for bus routes or self-drive till here. This place is such a lesser known tourist spot near Delhi that you would not find much information over the Internet as well. I will try to summarise this place here for you so that you can be guided to this remotely known place. This place is a collection of abandoned mines and has a crystal clear blue water here. It is a very prohibited place, and of course, the name says it so as well. Many people tried to swim in this lake and died in the process hence the name. Due to this, it is restricted to go here, and if caught by the villagers, you might have to pay a fine as well. This place lies in Faridabad and people usually come here for a weekend getaway, however, do not swim and be careful. 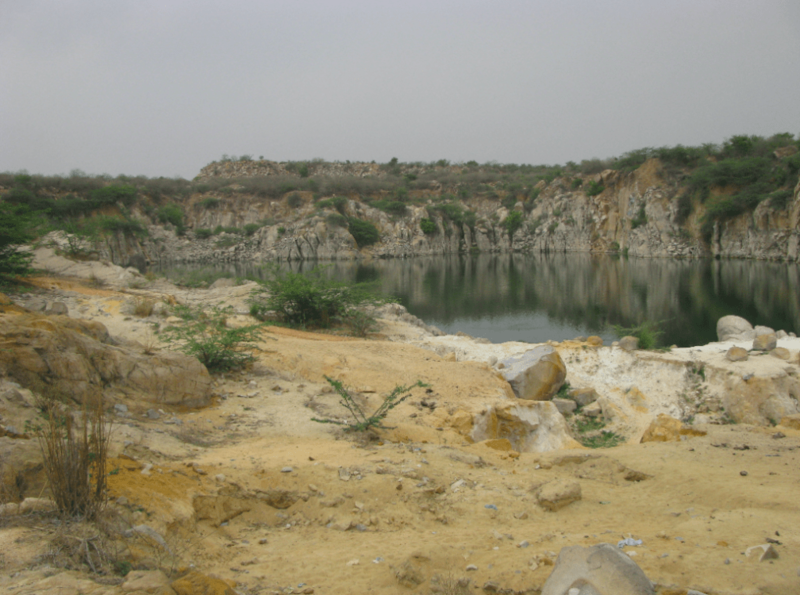 Since it is in a very remote area of Faridabad, you can reach here only through your own vehicle. Everyone visits Agra for the same reason – Taj Mahal. And why not? It is one of the seven wonders of the world. Along with it, it represents a tale of love and is an undying beauty. But in Agra, there are other places as well that you can cover in a day. One of them is Agra Fort which was the main residence of Mughal emperors. This fort is just 2.5 km away from Taj Mahal. Another famous place in Agra is Mehtab Bagh which is also known as Moonlight Garden. This is right across the Yamuna river and offers a spectacular view of it. 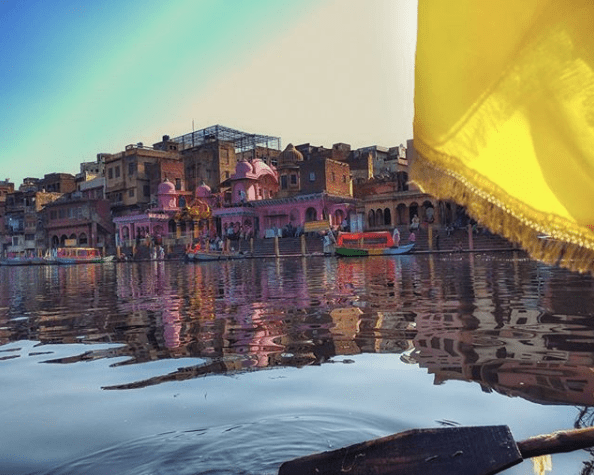 These famous places near Delhi can be explored in just a day or also one can stay for a night as well depending upon the luxury. If you plan it well you can cover all the three places in a day. There are several direct buses and trains going directly to Agra. For trains, make sure to book in advance since the seats fill fast. Getting a bus is fairly simpler and you can get seats on the spot as well. Kasauli is such a serene and peaceful hill station. I won’t lie, this place is also my favourite. As soon as you reach here you can experience an altogether a different kind of a vibe. This place is famous for its sunset point, gilbert’s trail and Monkey Point. The sunset from here is so serene and breathtaking. It really brings a peace of one of a kind. From Monkey Point one can see the entire city of Chandigarh and Kalka. There are several trains to reach Kalka. The most prominent ones are Shatabdi and Himalayan Queen. It takes 4-5 hours to reach till Kalka via train. From Kalka, you can either take a toy train or a bus. If you are taking a bus remember that you would have to change the bus midway. Although the frequency of the buses is good. On the other hand, you can also take a cab directly to Kasauli which takes almost 2 hours to drop you off till here. Rishikesh not only lies amidst the mountains of Uttarakhand but is a perfect heaven for adventure activities near Delhi. Here you can opt for rafting, bungee jumping as well as cliff jumping. Tourists also opt at camping here and there are several packages which you can opt. 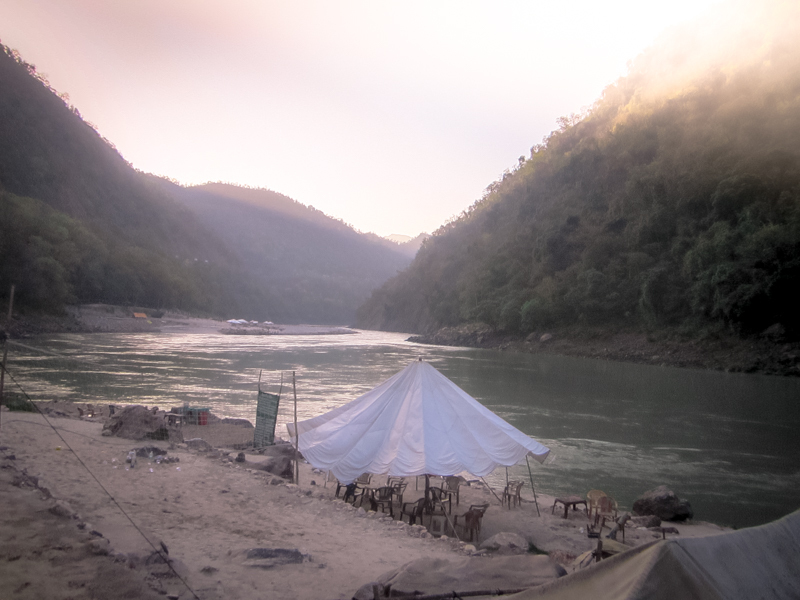 Although Rishikesh is always bustling with tourists but the adventures are worthwhile. There are direct buses to Rishikesh from Delhi. You can take the government one from ISBT Kashmiri Gate or the private ones from Anand Vihar ISBT. I personally think all these places are worth the visit over the weekend. I have only mentioned the serene and picturesque places keeping the list short for you to plan a little better. Hope you have an amazing time whenever you plan to get away from the heat and pollution of Delhi. Do let us know which one you chose. Also comment below in case of any queries.